Bollywood PR: Branding Shekhar Suman as TV’s 1st ‘superstar’ was fun ! Branding Shekhar Suman as TV’s 1st ‘superstar’ was fun ! ROSHNI MULCHANDANI, BOLLYSPICE.COM, SAN FRANCISCO: Who was your first celebrity client as a PR? And what did you do for him? DALE: My first big client was Shekhar Suman, way back in 1998. 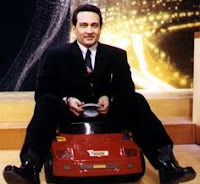 His TV show ‘Movers & Shakers’ went on to create history on Indian television, and Shekhar wanted better branding then. He hired me for his personal PR and I harped in the media about him being the ‘First Superstar of Indian Television’ till he was unanimously accepted as one. Though he desperately wanted it, I take full credit for getting him that tag. It was fun, especially as it also made me understand the reach of a publicist. Shekhar was a very demanding client, but wonderfully witty, with no dearth of quotable quotes. I grasped and learnt a lot of PR tricks while I planned and carried out his promotional exercises for the three years we worked together. Those were also the best years of his life. He was impressed with my work, and even got me the PR account for ‘Movers & Shakers’ later.